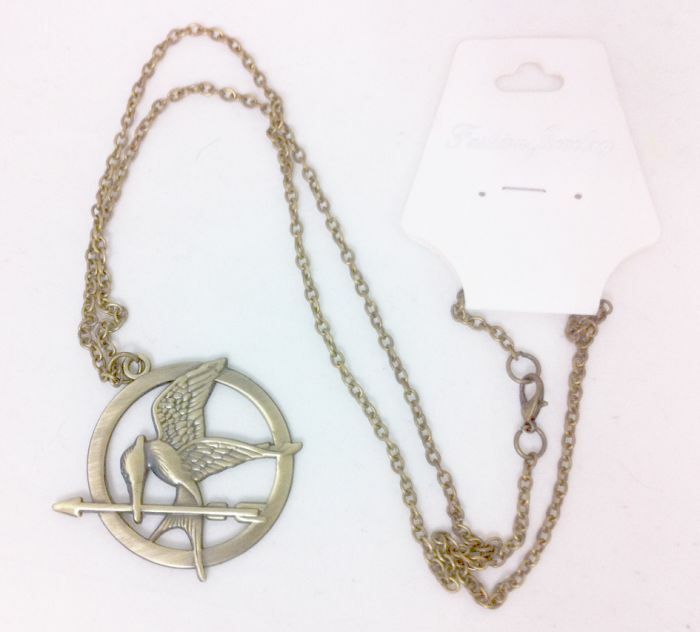 If you love the movie The Hunger Games then you will love this Mockingjay Pendant with an attached chain. 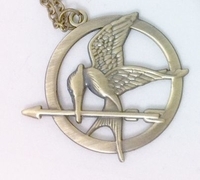 This is a quality replica of the Mockingjay metal pendant from film The Hunger Games. The chain is long enough that you can conveniently loop it over your head if you don't want to open the chain clasp. The intricate Mockingjay design is on both sides of this quality Hunger Games pendant.